The idea for the art on this Bible page was prompted by the song, "I Sing the Mighty Power of God". Too often I just go about my day with my mind on my tasks and getting distracted by situations that arise, but I want to intentionally focus on this idea that God is always with us...everywhere...in every situation...all the time. 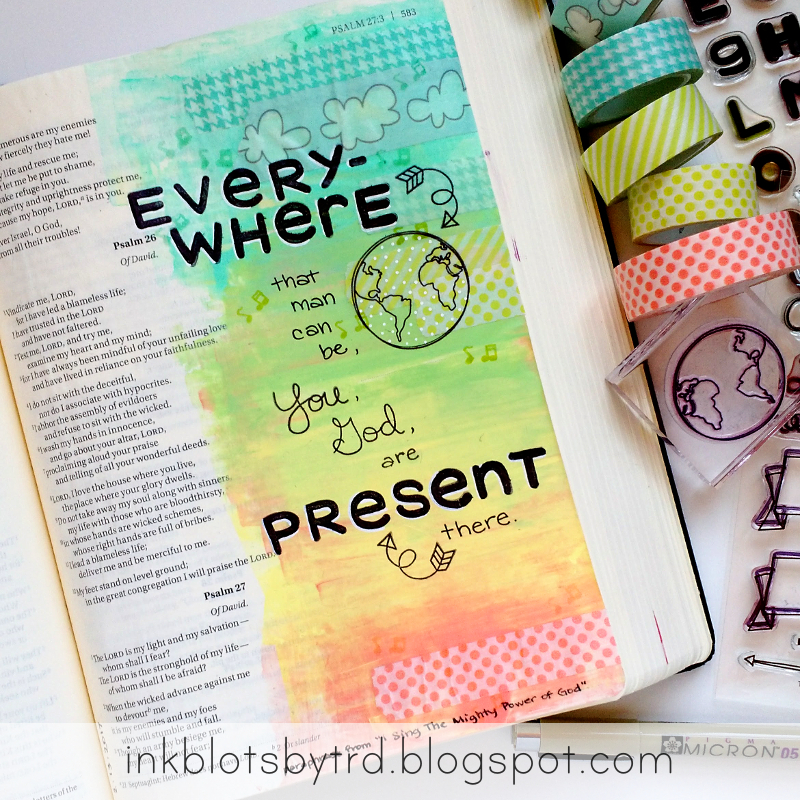 I thought this idea went well with David's words in Psalm 27, so that is where I chose to put it in my Bible. I'm going to try to keep this idea at the front of my mind today.